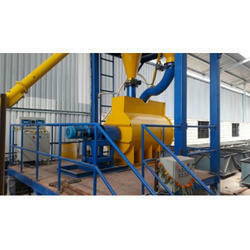 Prominent & Leading Manufacturer from Nashik, we offer steam curing boiler system, demoulding machine, clc block cutting machine, batch mix system and clc brick making machine. 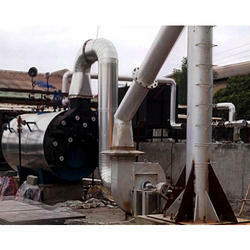 Boiler either Oil fuelled and Solid Fuelled for SteamCuring Machine for around 8 to 12 hrs at temperature, in concrete chambers with steel doors. Alternately CLC can also be water cured for 21 days like other concrete products. Demoulding Machine in CLC varies from 6 to 8 hrs , the green cake hardens for cutting. The semi hard green cake is demoulded with the help of Demoulding /Mould removal machine. The Demoulding machine smoothly separates the mould box and the green cake and leaves the mould on the base trolley. The Green cake after demoulding is shifted to the CLC Block Cutting Machine, which cuts the mould into the desired size with the help of a wire cutting machine. 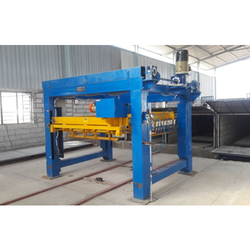 Our precise wire cutting machine is pneumatic tensioners. Our pioneered Blade cutting machine can be the most cost-effective solution for CLC block cutting, it reduces the urgency of cutting by 30 %. CLC Batch Mix System, flyash, and water slurry are remotely prepared in a separate slurry tank, which is screened for impurities and precisely weighed in the overhead weighing hopper. 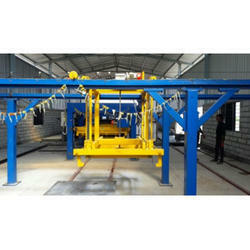 Similarly, cement is weighed and discharged in the Ribbon Blender as per cycle requirement. 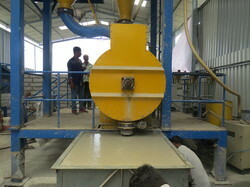 The foam mixed Concrete is then Poured into the moulds. Automatic Batch mix system assures you accurate foam dosing, maintaining the accurate Water Cement and Foam Ratio. Our Foam Generator precisely and consistently delivers foam at constant density and strength.